In the wider evangelical community there continues to be discussion about the meaning of “the gospel.” Folks such as Scot McKnight and N.T. Wright talk about the “king Jesus” gospel as the outworking of the history of Israel. The gospel is primarily about the restoration of all creation and individual salvation takes place within this larger outworking. Tim Keller expressed a rival interpretation of salvation and the gospel in an interview on Trevin Wax’s blog. 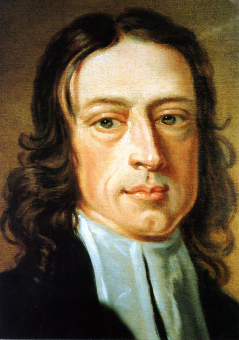 For what it is worth, John Wesley would agree with Keller’s emphasis over McKnight and Wright, although he, of course, disagrees with Keller on several other points. Scot and I disagree on this. But yes, I do think individual salvation needs to be kept central. In Romans 8 Paul speaks of the renewal of creation—its liberation from decay—something that shows that ultimately God’s salvation means the renewal of the whole world, not just the salvation of individual souls. Yet in verse 21 Paul says that the creation will be brought into our freedom and glory as children of God—the glory that we as individuals have received through faith in Jesus Christ. So rather than saying—as many do—that the main point of the gospel is cosmic salvation, and our individual salvation(s) are just part of that, it might be more accurate to say it’s the other way around. It may be that cosmic renewal is a fruit of our individual, personal salvation. Because I read Romans 8 the way I do—I see substitutionary atonement and justification as not something that comes along with the bigger story but as the point of the spear of the Big Story. Posted on November 24, 2012 November 24, 2012 by John MeunierPosted in Doctrine, SalvationTagged Gospel, N.T. Wright, Salvation, Scot McKnight. Previous Previous post: Do we know what Christianity is? That would make sense given Wesley’s historical context at the height of the Enlightenment (John Locke, Adam Smith, Hume, etc). I don’t think 18th century individualism is prescriptive for us. And it seems a little silly to quibble over whether the cosmic has priority over the individual or vice-versa; the point is to correct the escapist ethical nihilism of premillennialism, which has been a disaster for evangelicals. Morgan, I’m not sure I understand all your terms. Do you think Tim Keller offers an escapist ethical premillennial nihlism (speaking of the terms I’m pretty sure I do not understand)? Keller and McKnight/Wright are not in a binary relation to one another. McKnight and Wright are correcting an overly individualist gospel that “creates disciples” who don’t see “the transformation of the world” as being relevant. I think Keller would probably see himself as offering a correction to the correction. To some degree, it’s following the social gospel / fundamentalism fault lines that have defined Protestantism for a century, but McKnight and Wright are a lot more solid in understanding individual salvation and Keller is more solid in thinking about the kingdom. I would think the point is not to preach and teach primarily against theology we disagree with, though there may be a time for that, but instead to preach the living Christ? John Wesley sure did make a lot of pamphlets against Calvinism. Most of what Augustine wrote was against somebody, whether the Manicheans, Pelagius, or the Donatists. I don’t think we’re ever going to be absent of a polemical context. I would say that what McKnight has to say in A Community Called Atonement explains the cross a lot better than any other secondary text I’ve read. Wright’s Surprised by Hope does a better job of explaining eschatology than anything else I’ve read. Both of these books preach the living Christ while also helping to make some needed theological corrections. You correctly note a flaw to my statement/question. It is indeed possible to preach proper doctrine (noting here that I haven’t read either of those texts myself) and respond to problematic theology. It’s all good. I appreciate where you’re coming from. We need to be more about inviting each other into the truth than nitpicking for the sake of discrediting (which I do plenty of). Thanks for posting this! Not sure if I would have found found that interview otherwise. The more exposure to this vital conversation the better! Grace and Peace.